Tuvian Easy Café is a Internet Café management software product from Tuvian that manage all the activies in a café such as arrange free cabin for new customers, calculate amount that customer has to pay, store the customer details with audit trails and display the income details by daily, monthly, annualy , also by specific date interval. System includes two packages. One server Side and other one is Client Side application. Client system will be locked unless or untill a customer login. 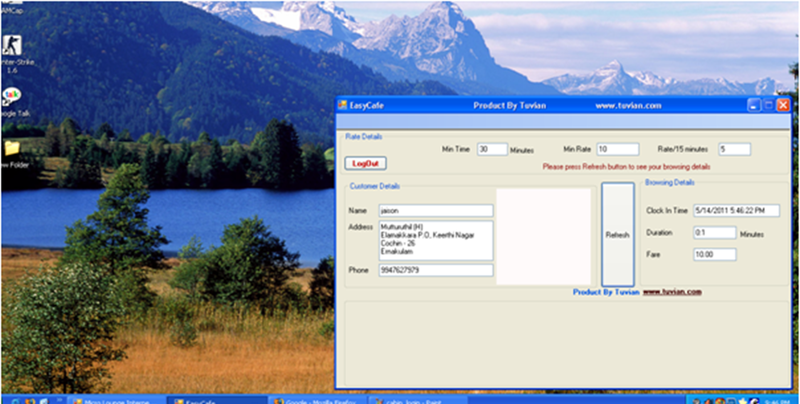 Customer must enter his/her details for login. Once the customer login, system wil start to track his browsing time until the he/she logout the system. Customer can view the browsing details such as login time, rate for browsing, current duration of browsing etc..
Once a customer logout the application, system will automatically got locked for the new customer.And it will display the duration and rate. Admin will have complete access to the application such as add cabin , add staff, etc… and Staff role have ony limited access such as view the browsing time and all. Tuvian EasyCafe has more than 50 clients all over south india. 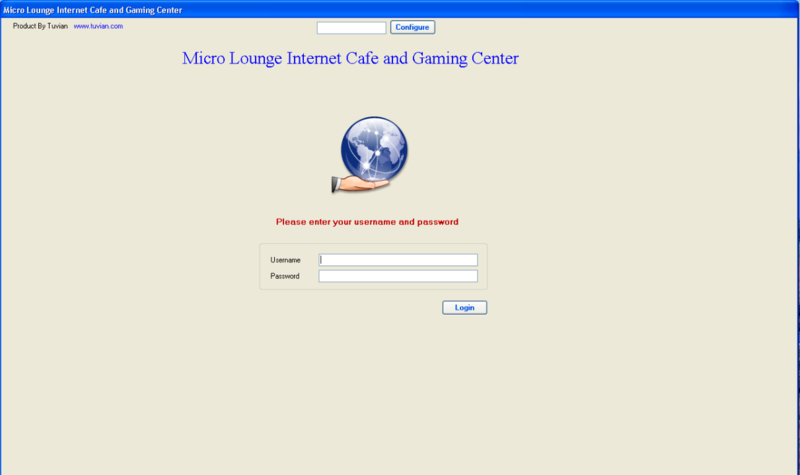 We can install and configure EasyCafe from online within 2 Hours. Free demo installation available for 1 month usage. of these responses appear like left by brain dead people? of every one of all your communal sites like your Facebook page, twitter feed, or linkedin profile?